Our team is led by Dr. Hazel Holman, a 1978 graduate of the University of Pennsylvania School of Veterinary Medicine. 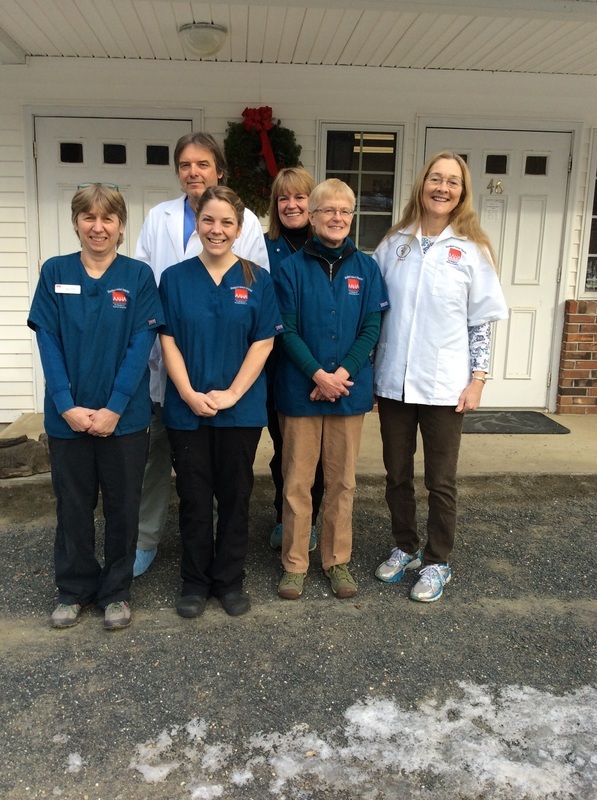 She completed an internship in small animal medicine and surgery at Rowley Memorial Animal Hospital in Springfield, MA. She also practiced for 2 years in the Catskills and for 3 years in Holyoke before establishing the Blandford Animal Hospital. A native of Western MA, Dr Holman has a variety of animals of her own. She enjoys hiking with her dogs, swiming and horseback riding. Our entire staff is dedicated to helping you and your pet. We offer you a staff of professionals dedicated to constantly improving their knowledge and skills. We provide a large range of educational opportunities for each staff member in order to keep current of new developments in the veterinary field. Our hospital cat, Luna is always front and center to welcome clients. Dr Hazel Holman being presented with her AAHA 25 year accreditation award.